Sales Management Training is available for all these different contexts. Each of these is broken down with highlight explanations under the headings below. The base layer is the first layer of selling skills and techniques, which all sales people have within them in varying degrees. 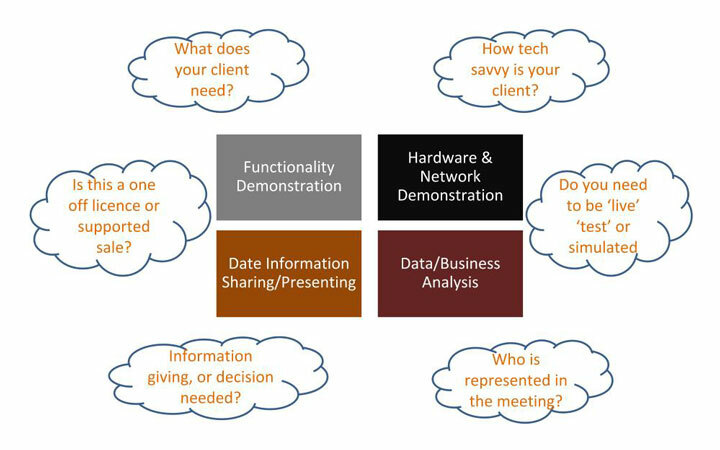 Sessions are allocated to each of these areas, and cover the principles and techniques to follow, and selling skills that need practice and development. The intermediate layer, assumes that attendees have completed the first base layer, as we now seek to build on this - the purpose and goal being for the sales person, to modify their own behavioural style and approach to match and fit better to their target customer, during a sales meeting. 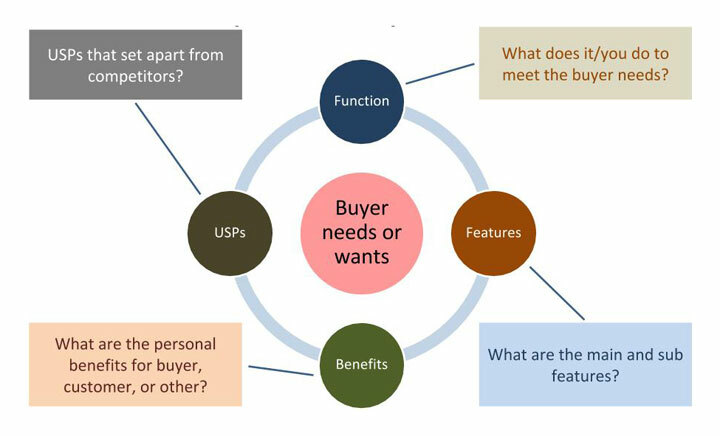 Each of the base layer skill area techniques and principles still apply, and the sales person choses to control and direct their own behaviour by modifying to match the target customer preferences, and behaviour style. The model is a simple quadrant based approach, and is colour co-ordinated, to enable the sales trainee to identify clues and signals quicker, resulting in stronger rapport, more target questioning, client specific benefits, and closing techniques adapted to suit the target customer. The advanced layer, assumes that attendees have completed both the first base layer, and the second intermediate layer as we now seek to build on both of these. The purpose and goal here is for the sales person, to understand how to modify their approach, skills and techniques based on a more in depth, psychological understanding of the target customer. The module is more about the reasons why customers choose approaches and behaviours, based on their values and frames of reference, using Neuro Linguistic Programming models, as the basic principles. This element of the Sales Training Academy assumes that at least the first base layer of selling skills and techniques has been completed, and focuses on the difference between tangible products and intangible services. It encourages the sales trainee to see things from the buyer�s perspective, and to identify key features of their offering, that can be translated in to benefits, specific to customer circumstances and needs. In addition, it challenges the sales trainee to identify unique selling points about their offering, when they compare to their nearest competitor. All elements of the Sales Training Academy are designed to facilitate the sales trainee to be engaged and develop their own word patterns that suit them, and their sales environment and context. This element is particularly strong in challenging the sales trainee to develop word patterns that work for them. 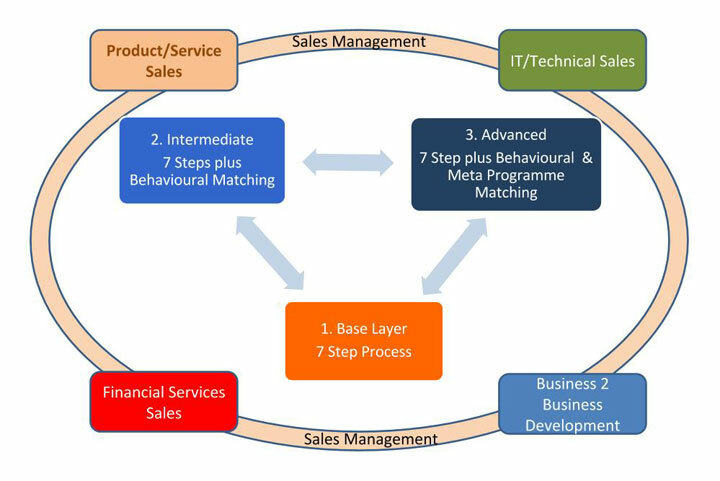 This element of the Sales Training Academy assumes that at least the first base layer of selling skills and techniques has been completed, and focuses on the financial services market in particular. This uses the 7 step sales model, tailored to advised or non-advised FCA regulated status. Establish and define aims and sales goals, through construction of an annual business plan. Reviewing your market environment, through construction of territory, time and activity planning, to produce the results required to meet your business plan. Conducting prospecting calls to secure meetings and clients. 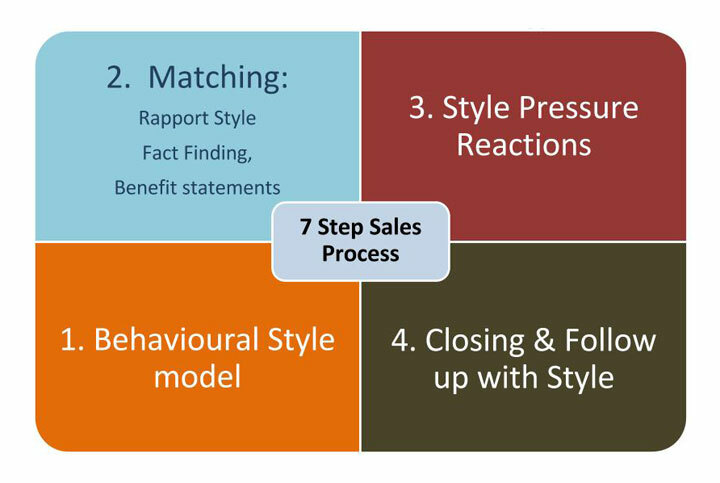 Conducting client meetings, using the 7 step sales model to apply appropriate sales skills and techniques. Managing your follow up activity to ensure a healthy pipeline, and quality after sales service, supports the business plan goals. 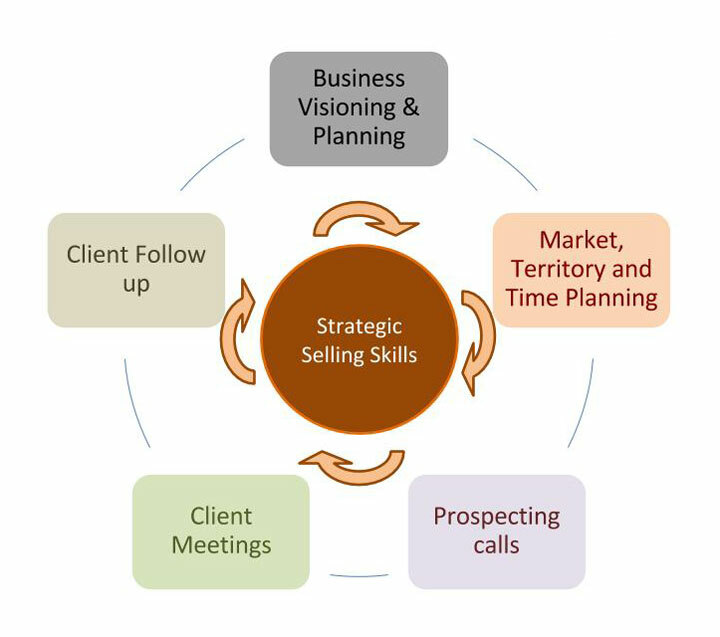 The Strategic Selling Skills module encourages the sales trainee to consider different strategies and approaches when seeking to win and keep business. This takes into account different buyer relationships and different decision maker influences within an organisation, as well as the current state of growth or decline in a client's business. 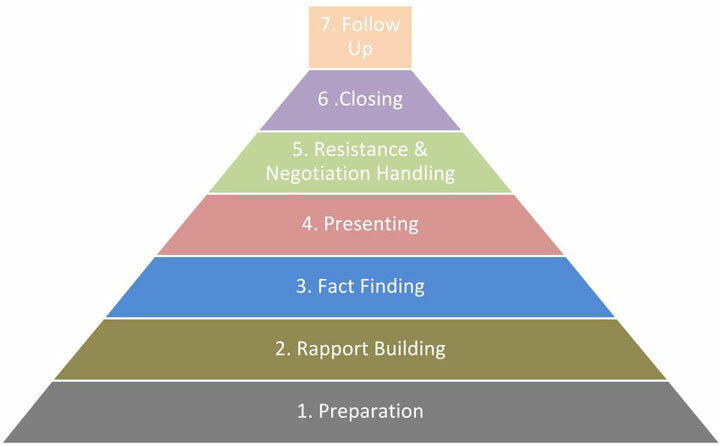 This element of the Sales Training Academy assumes that at least the first base layer of selling skills and techniques has been completed, and is specifically designed to develop the presentation and sales skills of those involved in technical or IT sectors. Such sectors, often require demonstration of software functionality, and/or explanations involving technical speak, or references, which need simplifying for end users, and buyers. This is usually about presentation skills, synchronised with equipment, but tailored away from many standard presentation skills training courses; these presentations need to integrate visuals, with client engagement as well as sales skills and techniques. 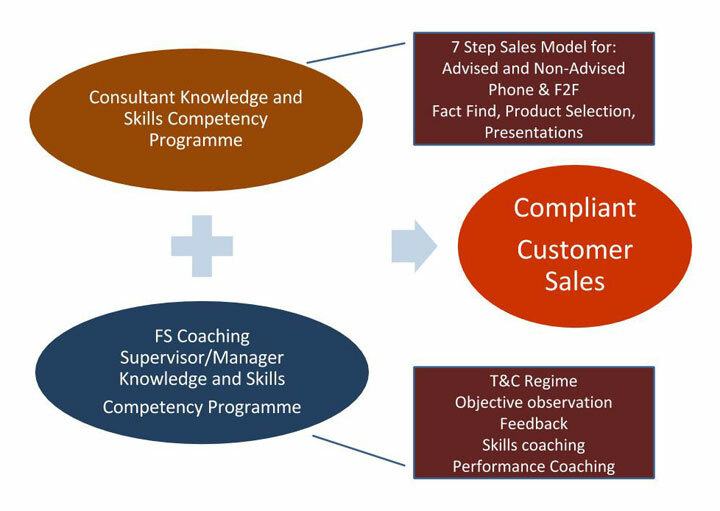 The sessions are practically orientated, requiring sales trainees, to prepare and conduct sales presentation demonstrations to fit their own sales environment, for which guidance and feedback is given.